NetEnrich Senior VP and GM Justin Crotty says MSPs that build their own NOC (network operation center) services are behaving like dung beetles, feeding off messy customer problems when MSP time would be better spent focusing on strategic business activities. Predictably, Crotty is making his case for MSPs to outsource their NOCs to a third-party provider. Here's why. NetEnrich Senior VP and GM Justin Crotty says MSPs that build their own NOC (network operation center) services are behaving like dung beetles, feeding off messy customer problems when MSP time would be better spent focusing on strategic business activities. Predictably, Crotty is making his case for MSPs to outsource their NOCs to a third-party provider. Here’s why. First, a little background. Of course, Crotty has a vested interest in the pitch, since NetEnrich offers NOC services to MSPs. But during the N-able Partner Summit in Scottsdale, Ariz., today, Crotty described where MSPs should differentiate on their own, and where they should partner to provide basic services. Critical, routine maintenance activities that must be done flawlessly. Examples include server management, performance management, router management and other base infrastructure. Crotty says MSPs need to offer those services, but right now many MSPs are spending too much time and money developing basic NOC services that don’t allow you to differentiate. 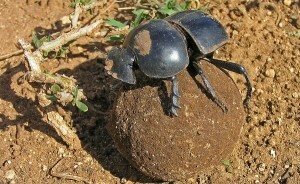 Driving home his point, Crotty said NetEnrich is “the dung beetle of the IT industry” — providing basic, unglamorous monitoring, management and maintenance services that MSPs can white-label as their own. The NetEnrich NOC services can integrate with MSP dashboards and PSA systems like ConnectWise and Autotask, Crotty added. Crotty, as you may recall, left the Ingram Micro Seismic business in mid-2010 to join NetEnrich in August 2010. In recent weeks, Crotty has hit the road to share NetEnrich’s story — attending the Ingram Micro VentureTech Network (VTN) conference a few weeks ago and taking the stage today at the N-able Partner Summit, which attracted more than 300 MSPs and industry leaders. MSPmentor’s live coverage from N-able Partner Conference continues throughout the day. Sign up for MSPmentor’s Weekly Enewsletter, Webcasts and Resource Center. And follow us via RSS,Facebook, Identi.ca; and Twitter. Plus, check out more MSP voices at www.MSPtweet.com.